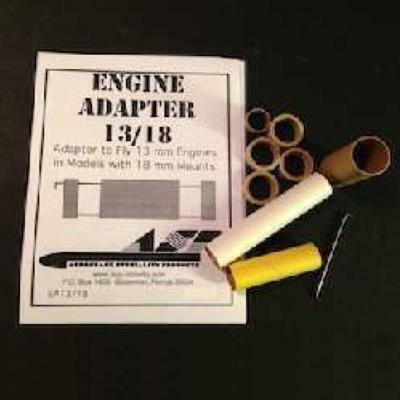 Model Rocket Engine Adapter Kit 13/18. Use to fly a 13mm "Mini" Engine in a Model with a 18mm Mount. Construction required.